Today at their annual Worldwide Developer Conference, the company announced a slew of hardware updates for their entire range of laptops. Every last laptop, from the mighty MacBook Pro to the humble MacBook Air is getting some sort of CPU or platform update. As a result, Apple has a full family of refreshed laptops for the summer, all of which improve on their predecessor in one or more ways. We’ll start with the MacBook Pro and MacBook, Apple’s two modern laptop families. Both of these laptops have received their long-awaited update to Intel’s 7th generation Kaby Lake platform. Kaby Lake, for a quick refresher, uses the same Skylake CPU core as Intel’s 6th gen Skylake platform, but enjoys a modest frequency boost due to Intel's 14nm+ manufacturing process. Meanwhile on the graphics side of matters, all of these CPUs come with a newer media block that offers full hardware encode and decode of 10-bit HEVC. This is an important distinction since Apple will be supporting HEVC on macOS 10.13 High Sierra. There are no other major changes to the underlying Kaby Lake platform, so other than the clockspeed boost and improved media decoder, Kaby Lake is a conceptually simple update from Skylake. Accordingly, Apple has only made minimal other internal changes to these laptops. The MacBook does get a newer SSD – presumably the latest Apple design to replace its existing Apple SSD – which Apple states is up to 50% faster than the previous SSD. Surprisingly, the company is now also offering a 16GB memory option on the laptop, an interesting development since they were already using a full suite of chips to get to 8GB; so a teardown will be necessary to see how they’re getting to 16GB. (non-touch) 2016 15" 2017 15"
Meanwhile the 15” MacBook Pro is receiving a dGPU update. Apple has replaced the AMD Radeon Pro 400 series options with the Radeon Pro 500 series, which is comprised of the Radeon Pro 555 and Radeon Pro 560, Like the previous 400 series, both 500 series parts are based on AMD’s Polaris 11 GPU. Otherwise, Apple hasn’t made any internal or external changes to these laptops. They all have the same screens, same ports, same finishes, etc, as the 2016. And the Touch Bar is still present on all of the 15” SKUs and the higher-end 13” SKUs. So if you want a Touch Bar, you need to buy a more expensive SKU (or alternatively, a lower-end 13” if you don’t want the Touch Bar). 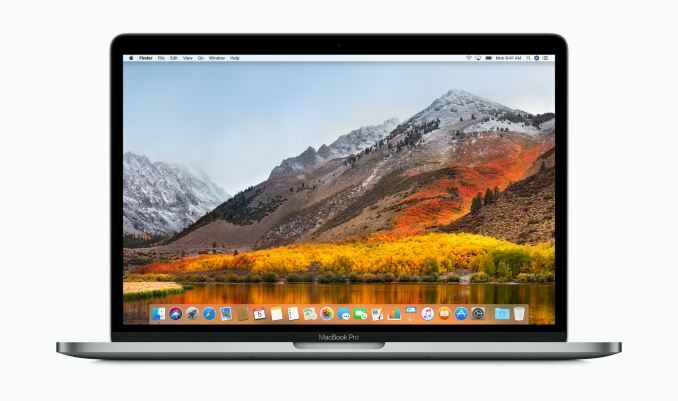 Finally, Apple has added a second low-end MBP 13” SKU with a smaller 128GB SSD, which has pushed the price of the cheapest model down from $1499 to $1299 as of the refreshed laptops. 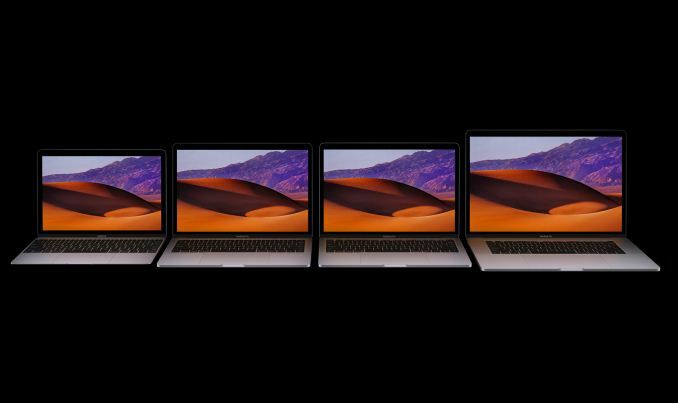 All of these updated laptops should be available from Apple on June 7th. 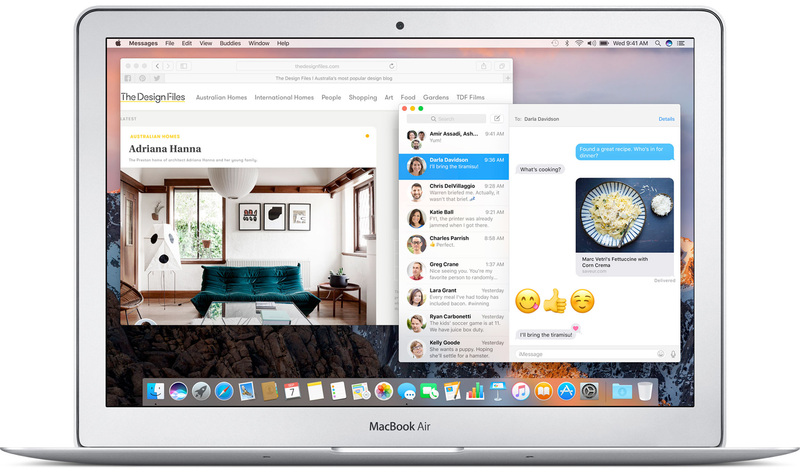 Meanwhile in a surprising turn of events, Apple has given the 13” MacBook Air a minor speed boost. The laptop has languished without a real update for a couple of years now, still using Intel’s 5th generation Broadwell CPUs and a now dated low-DPI TN screen. Nonetheless, it’s still one of Apple’s more popular laptops due to its sub-$1000 starting price, which seems to be disrupting any plans to actually discontinue the laptop. As a result, Apple has given it a minor, late-lifetime speed boost. The updated laptop retains the use of Intel’s Broadwell processor, but the base configurations now uses a faster chip, Intel’s Core i5-5350U, instead of the slower i5-5250U. As hinted at by the minor model number change, this is not a massive difference – both the base and the boost clock are 200MHz faster, for 1.8GHz base and 2.9GHz boost – but it is none the less a tangible performance improvement for Apple’s entry-level laptop. Otherwise, Apple has not made any other changes. It’s still the same size with the same panel and the same I/O, including the now dated Thunderbolt 2 port. Still, it buys the laptop a bit more time, at least until Apple can figure out what the future of their entry-level laptop model should be. Is HEVC support in High Sierra going to be Kaby Lake exclusive and require full hardware encoders and decoders or will the partial/hybrid acceleration in Skylake and Broadwell be supported as well? Anandtech previously reported that Skylake apparently does have a full HEVC encode/decode support.